Below are 10 holiday, birthday, Mother’s Day, and Father’s Day gifts that we’ve given (with success!) in the past, as well as a few ideas we’re keeping in our pocket for future years. Giving your folks a shiny new iPad still in the shrink-wrapped plastic is NOT the way to go. Get the iPad or Kindle, sure. But SET IT UP for them. Pick a password that’s meaningful and easy FOR THEM to remember. Remove (or move to a folder) any apps they won’t need or use. Download any apps or ebooks you think they’d enjoy. Essentially, have the device “ready to roll” the minute the gift ribbon is untied. Quick tip: Consider creating a Gmail account for this device, so you can set up logins for things like Pandora, iMusic, and more. This way, if your parents ever get stuck, you can easily assist them from afar. Perhaps most importantly, get the grandkids involved. Once the device is unwrapped, recruit THEM to teach Grandma and Grandpa how to play with the new toy. In the end, that might be what they treasure most… finding new ways to connect with their grandkids. Some of the suggested gifts on this list have been collaborative gifts, where multiple family members have come together to help split the cost. My suggestion? 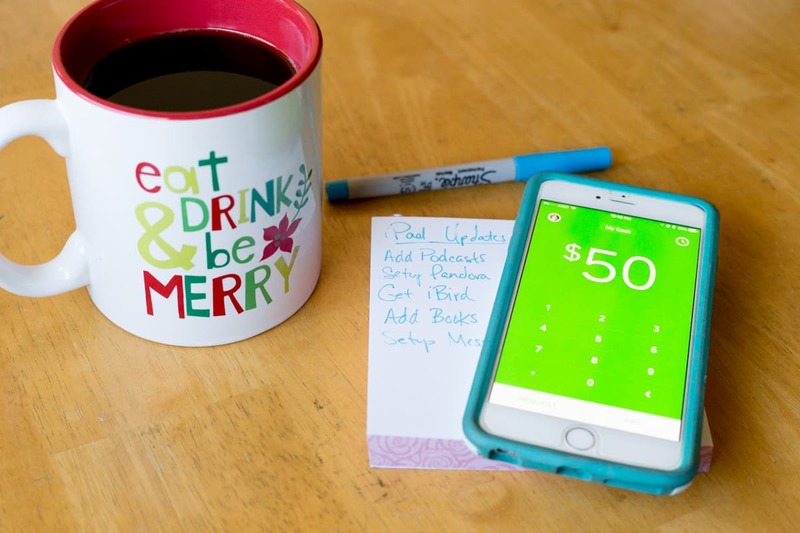 If you choose one of the pricier gift ideas in this post, consider using the free app Square Cash to quickly and easily coordinate “who owes who for what” among your family members. Check it out in the App Store or on Google Play. This way you can just relax and enjoy your special day with your family. I ordered one of these for my mother-in-law last year and she has loved it. She’s gone out of her way to mention it to me multiple times, which in my mind basically means, “Hint. Hint. Do it again next year!” The project seems like a big undertaking, but I swear… it took me only 20 minutes to order it. In the past, I’d always given her a 12-month photo calendar, but this 365-day calendar is even EASIER. With a 12-month calendar, you need to pick JUST 12 images. A smaller number may SEEM simpler, but when you’re trying to “represent” the entire extended family, it can be a challenge. There can also be a sense of pressure to include only high-quality pics when doing a monthly calendar. 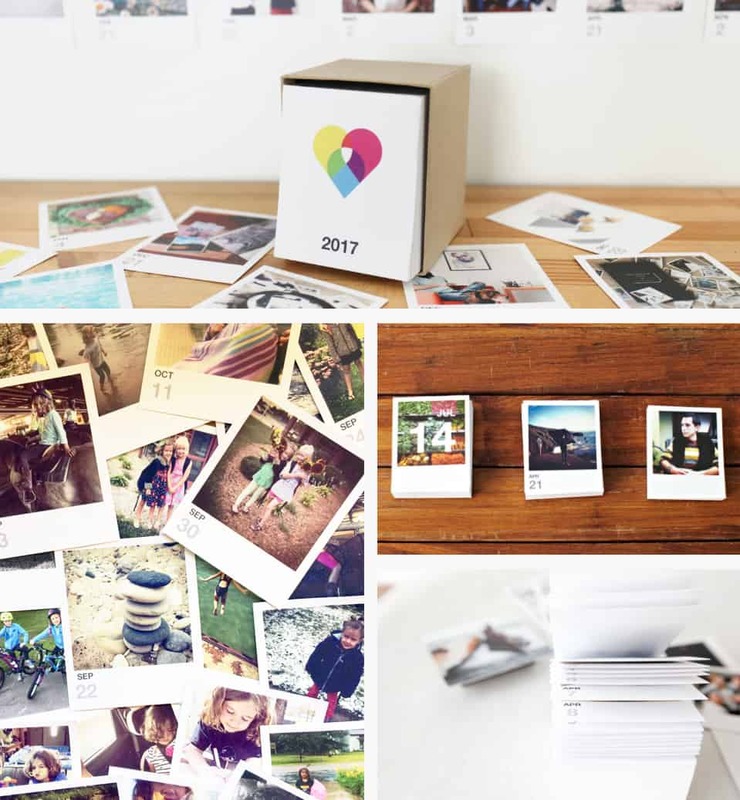 With this Daily Photo Calendar, you literally import your entire Instagram library and un-click pics you don’t want to include. It was so simple. And I love all the little daily moments we get to share as a family—ones that might not have “made the cut” in a 12-month calendar. Give your parents (or in-laws) a whole YEAR full of memories to enjoy! When I shared this list of gift ideas on Facebook a reader commented, “Last year we got my mom a Nixplay frame and put the app on all us adult kid’s phones. We can upload pictures directly to her frame. It’s great! 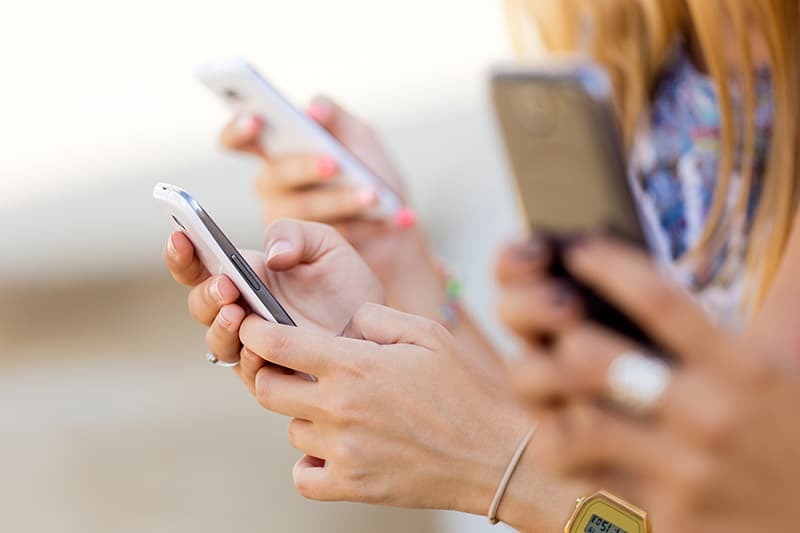 You need that sweet spot of senior who has wifi but isn’t quite savvy enough to move photos onto a digital frame themself, but that describes quite a few parents!” Thanks for the great tip Anna! Shhhh. My sister-in-law and I chatted and… we’re going to split the cost of getting a 10″ Nixplay this Christmas. It’s going to be so cool with all the grandkids also having access to share photos with their Nana! Subscription services have become a big trend over the last few years. You can find prepaid “clubs” that offer monthly gifts of beer, tea, wine, cheese, chocolate, flowers, pie, DIY projects… even steak. My favorite type of gifts are the ones that keep on giving, like this ongoing subscription gift or the aforementioned daily calendar. Things that say, “You’re wonderful. We’re thinking of you. We love you.” over and over again, all year long. Our family tree is a bit patchy on my dad’s side. We can go back a generation or two, but then there are a lot of gaps. If your parents have expressed curiosity about their genealogy, consider getting them a DNA test. There are a variety of different online ancestry sites that now offer this neat service. My dad was positively giddy to share his ethnicity results with us at the next family gathering. The little boy in the top right photo, all the way on the left side of the table, is my dad. 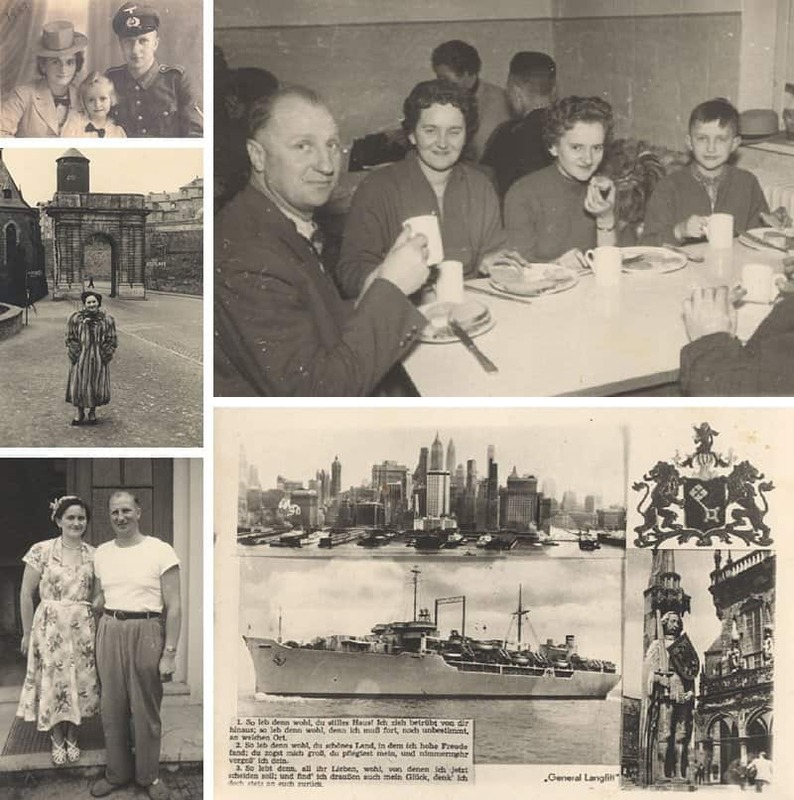 The picture is of the family’s last super in Germany before boarding the General Langfitt (the ship featured in the postcard above) and taking a 2-week journey across the ocean to the USA. If genetics is not your folks’ thing, an alternative would be to look into memoir gifts. There are some really cool “letters to the grandkids” journals with writing prompts out there, too! Have you ever heard the phrase “Be a tourist in your own town”? So often, we get stuck in our daily routines. Why not give your parents the opportunity to step out and try something new TOGETHER! One year, we planned dinner with my parents at a tapas restaurant. Let’s just say this is not exactly my parents’ style, but because of the small, shareable portion sizes, we all had an amazing time trying cuisine that we wouldn’t otherwise usually order. Having the kids involved helped my parents put on their brave faces and laugh at some of the things we tried that were “not their favorite” (our family’s polite way of saying, “Blech!”). Another time, we casually suggested a “dinner date” with my in-laws on an upcoming Saturday night, but then secretly organized all the extended family to drive in from out of town for what seemed to my in-laws to be nothing more than a random dinner invitation with us four. What a fun surprise. Never underestimate the power of bringing family together for your parents! Quick tip: If your parents are like mine, they’ll give a spiel (I told you I had German heritage!) about how “just bringing everyone together was enough of a gift” and demand the bill from your restaurant server. In my experience, most servers buckle under the pressure. Avoid this situation all together… Excuse yourself immediately after ordering and speak with the restaurant host. Provide your debit card and arrange to have the server bring your bill to the table PREPAID. When your parents see the server coming, they’ll be shocked (and pleasantly surprised) to learn the bill has already been handled as your family’s gift to them. Now, if you’re splitting the check with your siblings, you can easily text them the amount owed after the dinner, and they can send you the moola direct—yes, right then and there—via Square Cash. No more awkward “reimbursement reminders” after everyone goes home. Pop online and do some local research. There are TONS of learning opportunities that you can gift your parents. Here are a few places to check out that often host classes: Parks & Rec departments, YMCAs/YWCAs, dive shops, local marinas, botanic gardens, dance studios, art centers, museums, retailers (like Michaels, JoAnn Fabrics, Williams-Sonoma, or Home Depot), and of course local universities or technical colleges. 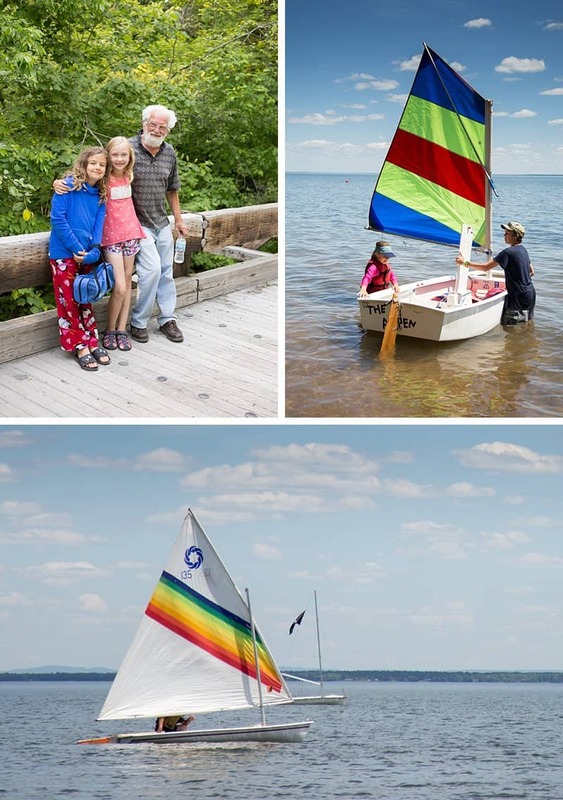 Last year, we found a great Parks & Rec opportunity and gifted my father-in-law sailing lessons. While Grandpa attended his private lessons geared for adults, my girls took a kid-focused sailing session at the same time. The experience was amazing for all three of them. He even ended up buying a small, used schooner shortly after that. We plan to head to Lake Superior again this summer to join him in practicing his new-found skill. Adventure can mean sailing OR taking a cooking class, learning how to care for a bonsai tree, dancing the mamba, or doing beginning yoga. Inspire your parents to learn something new (with or without the grandkids). Consider getting tickets to a sporting event, concert, boat show, theater performance, or gallery night. You can schedule a night out on the town for you and each parent separately (if they have differing interests), plan an evening out for them the grandkids, or make it an extended family experience where all are invited. In the end, it’s really about spending time together, however works best in your family this year. Do a little snooping around your parents’ house and find a childhood or wedding photo to have enhanced and framed. One year, my aunt did this for my grandmother and it turned out lovely. 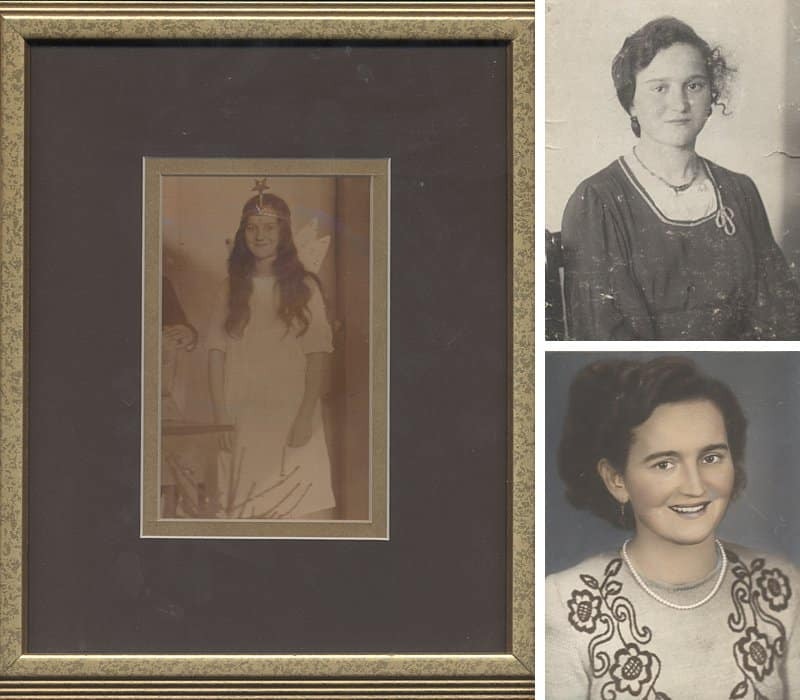 She found a photo of my grandmother dressed up as an angel for a Christmas pageant when she was 8 years old and had it remastered, then framed. 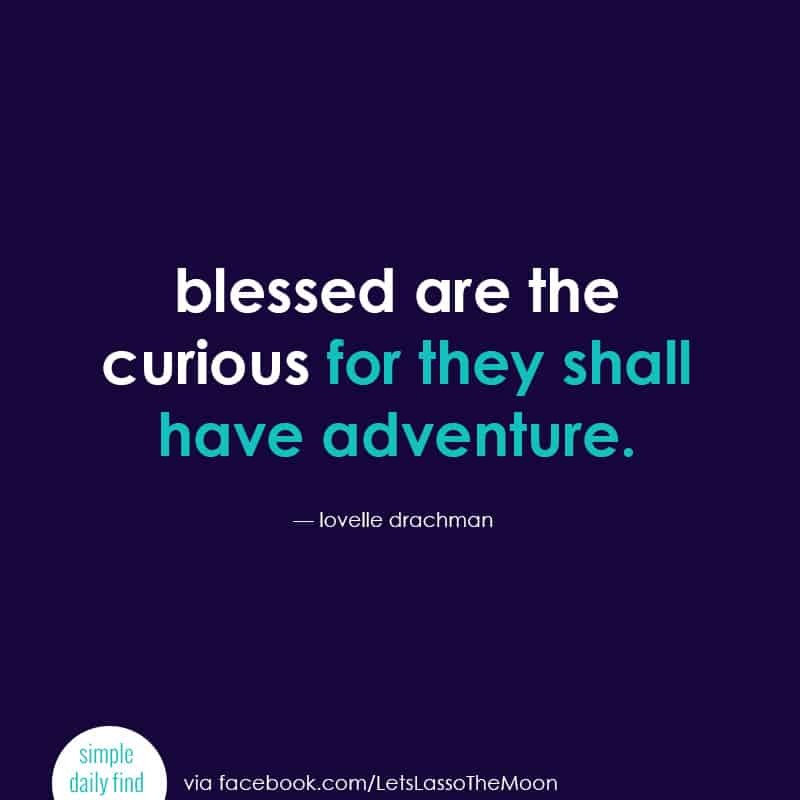 I love the idea of including this whimsical quote with the gift. Another year, I quietly nabbed a wedding photo from my parents, then had it enlarged, matted, and framed. So fun. And a lovely keepsake that can get passed down for generations. My parents and in-laws both still love magazines. In the past, we’ve ordered them print subscriptions to publications like Runner’s World, Everyday with Rachel Ray, Guide Post, Horticulture, National Parks, and National Geographic. My parents love to rip out articles to share with me still. It’s a wonderful excuse to connect with us on their terms and in their way. The expression on their faces when they realize the weekend is reserved for THEM is priceless. You have tons of photos of your family on your phone, camera, and computer. Share them with your parents! Consider buying them a set of changeable frames for their home. Next time you visit, snoop around for a place that they could hang a photo gallery. It doesn’t have to be a prominent location. Look for unexpected, but passed-daily places: back hallways, staircases to the basement, upstairs hallways, even the laundry room. Then order a gallery of changeable photo frames for the space. One year, we ordered a set of beautiful wood frames from Easy Gallery for my mother-in-law’s entryway. The cost of a well-crafted gallery set can be high, making it a nice group gift. This particular collection was $500 for a set of eight American-made, environmentally-friendly, wood frames. If you decide to purchase a gallery, have your siblings each print some photos, so your folks have a variety of images to rotate through and store in the easily changeable frames. Consider digging into the archives and scanning some pics from your own childhood, too! I love that every time I stop by their houses, there are new photos in the gallery. Another year, I bought a changeable photo gallery for my father, too. 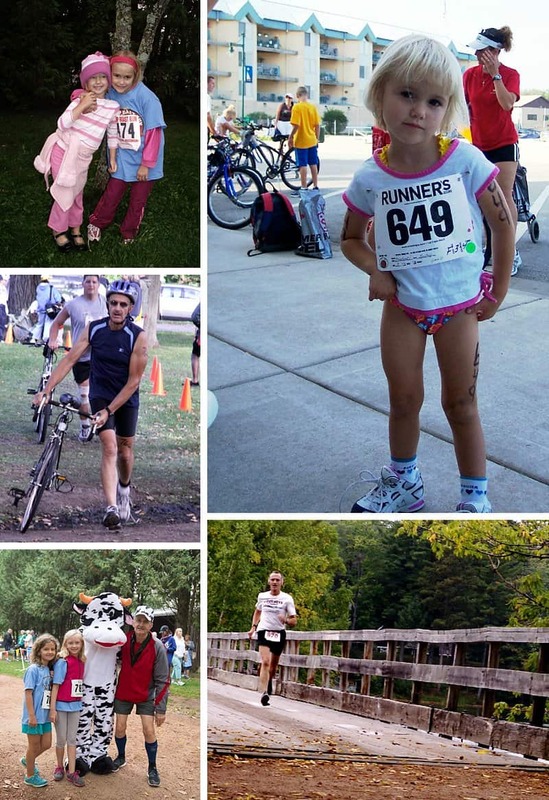 He’s big on triathlons and running, so I included some photos of him and the kids along with the frames. My father has prominently displayed the gallery with his running ribbons. Now every time one of our girls runs an event with him, I send him a photo for his gallery. It’s been a wonderful ongoing gift.